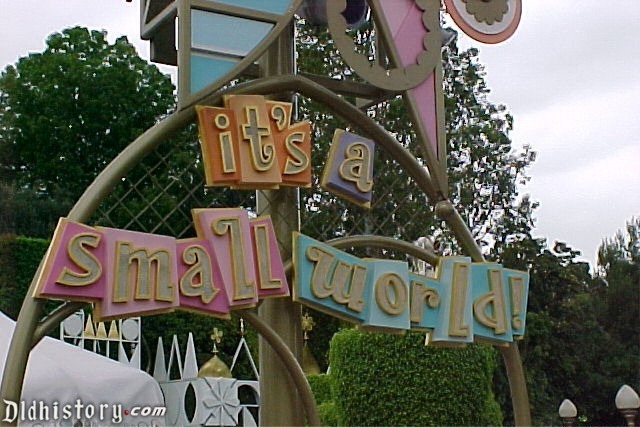 In a surprise move, The Walt Disney Company CFO Christine M. McCarthy announced in a call to shareholders that the House of Mouse is adapting the popular Disneyland ride "It's A Small World" into a live action feature movie written and directed by Jennifer Lee (Frozen, Frozen 2). The movie will be a "globetrotting adventure about a pair of siblings that must travel around the world to find clues to the whereabouts of their parents". It will be released on Christmas Day, 2020. This is the third park ride Disney has adapted into a movie after the extremely successful Pirates of the Caribbean and the misfiring Haunted House. Clearly Disney thinks this one will be a success, and they're betting on one of their most reliable filmmakers to bring the picture home safely. With credits like both Frozen scripts and Wreck-It-Ralph under her name, Lee has proven to be a hit-maker for Disney and they must expect It's A Small World to bring in the money. There was no word about the ride's (in)famous song making an appearance in the movie, but one assumes it'll be an easter egg, like "Yo-Ho, A Pirate's Life" was used sparsely throughout the Pirates franchise. CFO McCarthy also mentioned China, Qatar, and Russia as possible filming destinations, since those countries have excellent financial incentives that would make the movie even a safer bet for the studio.